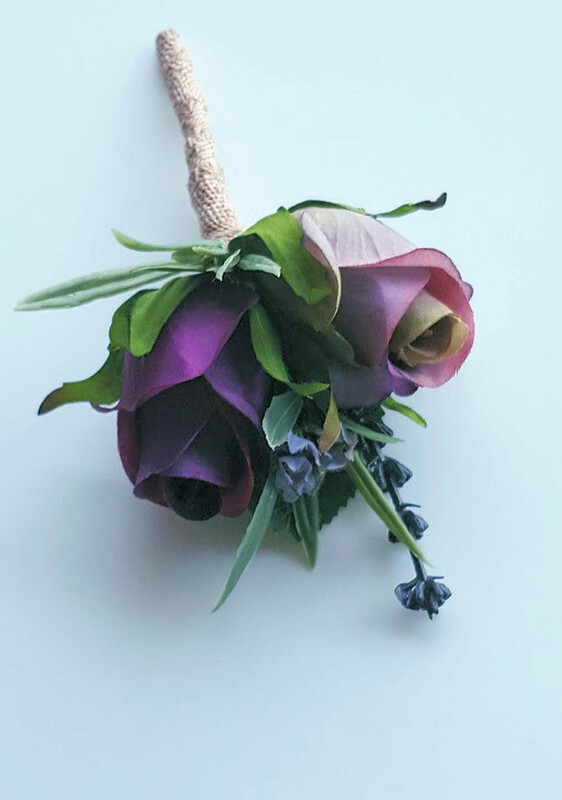 This beautiful buttonhole is made with 2 rosebuds & lavender and is backed with a rose leaf. 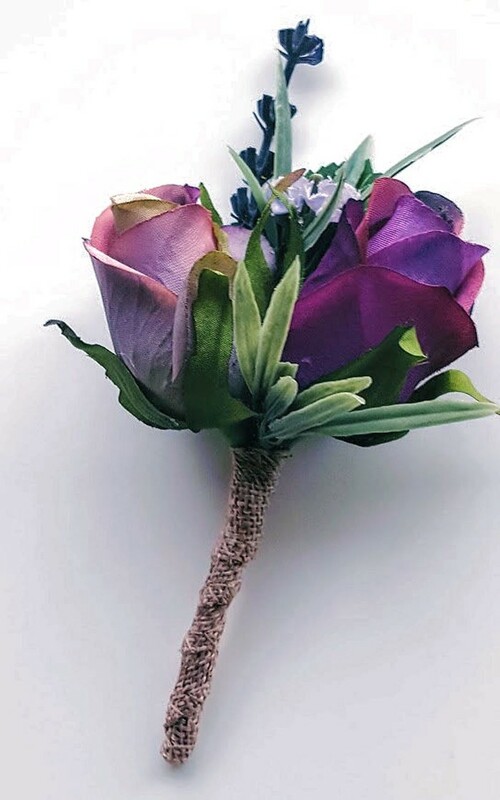 It is ideal for a Groom, Groomsman, Father or Brother of the Bride or Groom. We include everything needed to complete his look as well as instructions on "How to wear ". 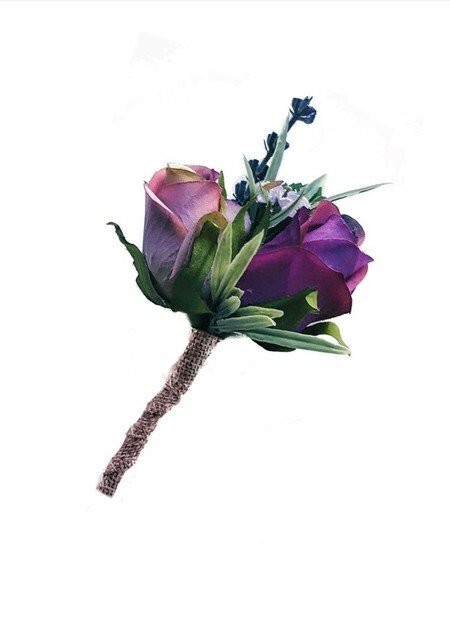 Items sold by UnrealWeddingFlowers have been designed & created by a professional wedding florist using artificial flowers. 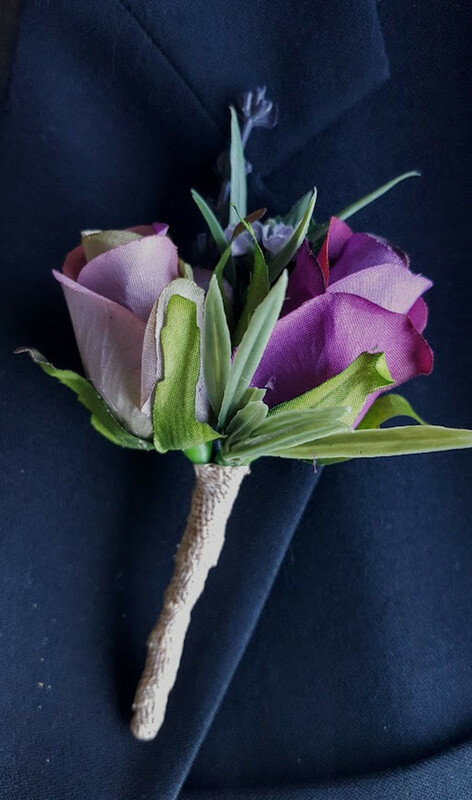 To order more than listed or to modify the buttonhole, please contact us.